Delhi University is itself a very prestigious college in India. A lot of courses are available for students in this University. BDS, MMBS, Engineering courses, BA, MA, MBA, BBA and LLB are some of the popular courses, offered by this college to the students, among many others. 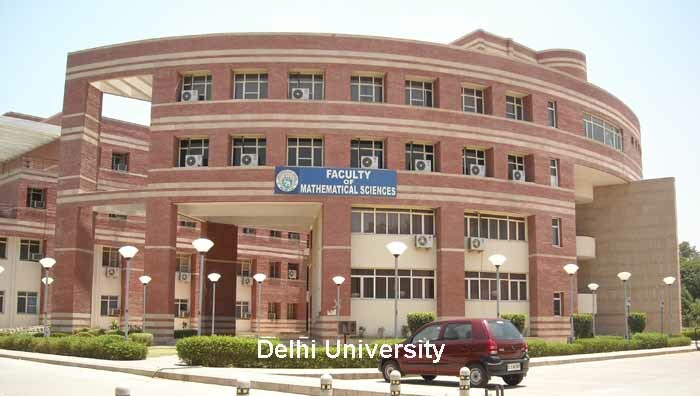 Delhi University (popularly known as DU) is a public central University located in South Moti Bagh, New Delhi. It was established in 1922. DU has over 350000 students. 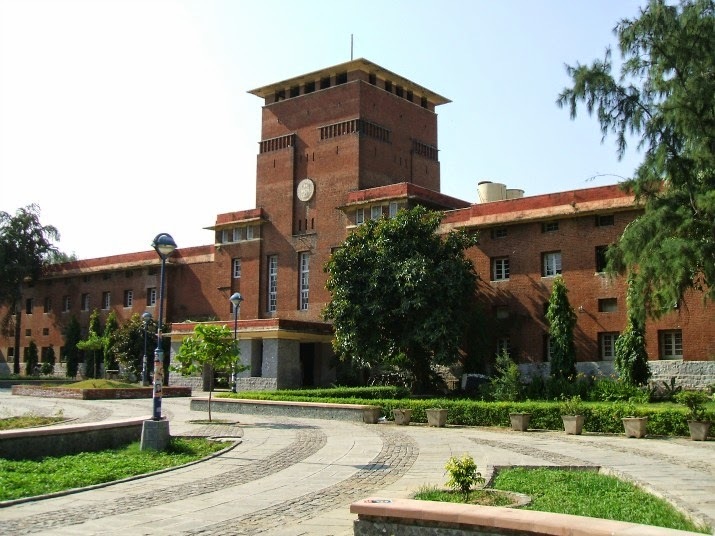 India Today has placed University of Delhi at the number 1 rank. It is among the top 50 best colleges in India. St. Stephen’s College, Hindu College and Ramjas College were the only 3 colleges that existed in Delhi before the establishment of the amazing Delhi University. The status of Centres of "Advanced Studies" has been awarded to the University for five departments that includes- chemistry, geology, zoology, sociology and history. When India gained Independence, in 1947, Delhi University was celebrating their Silver Jubilee Year! It is a reputed college and most of the talented students want to join this college and pursue further studies. Due to the consistent effort and hard-work of the faculty members of the university, it ranked 441-450 in the QS World University Rankings (2013). 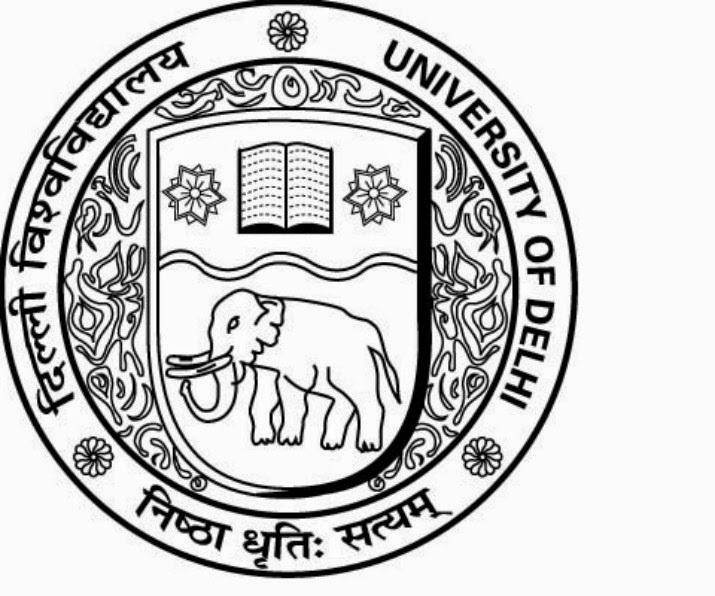 The University of Delhi is funded by the Government of India. DU has a very rich academic tradition. From modest beginnings, this University has grown to be amongst the very best in Asia. In a special ceremony held in 1948, the guests included eminent personalities like Jawaharlal Nehru, Lord Mountbatten, Lady Mountbatten, Abul Kalam Azad, Zakir Hussain and S.S. Bhatnagar. In 1973, the University celebrated its Golden Jubilee in the presence of Indira Gandhi, Satyajit Ray, Amrita Pritam and M S Subbulakshmi. 84 colleges are under the affiliation of the University of Delhi and the University has 15 big libraries apart from libraries in colleges. High-end research instruments used by teachers and students. Thus, the presence of modern instruments definitely helps the students to keep up with changing times. The 2 main campuses of the University includes the North Campus and the South Campus. The former has 84 departments and 14 faculties. Under the north Campus, some colleges are Shri Ram College of Commerce, Saint Stephen's College and Hindu College. Cut throat competition is there for getting admission into the colleges of the North Campus. South Campus is famous for providing excellent education to students in the field of Life Sciences. Some popular colleges that make up the South Campus are Lady Shri Ram College, Sri Aurobindo College and Shaheed Bhagat Singh College. Admissions to DU are made on the basis of excellence in sports and studies. Delhi University Cut-off percentage is released as cut-off lists. A student has to have this minimum marks required to get admission into DU. Delhi Vishwavidyalaya reserves seats for physically handicapped students and also for those belonging from other backward classes (OBC), Scheduled Caste (SC) and Scheduled Tribe (ST). Marks of higher secondary school examination is taken into consideration and the university does not conduct entrance examinations (except for Bachelor of Business Studies, Bachelor of Business Economics, Bachelor of Finance and Investment Analysis & B.A. (H) English). Two Nobel laureates have also been associated with Delhi University- Aung San Suu Kyi (Nobel Peace prize) and Amartya Sen (Nobel Memorial Prize in Economic Sciences). Actors like Amitabh Bachchan, Imran Zahid and Shah Rukh Khan have also studied at this famous University. Top recruiting companies at this University include NIIT, Sun Microsystems, Hindustan Times, MakeMyTrip; among others. The Delhi University recently laid fibre-optic network in the north and the south campuses connecting all colleges and departments. 34 Libraries are there under DU with web activity. The students have access to all modern equipments and apparatus required for their studies. Thus, overall, Delhi University leaves no stone unturned to turn a bright and hard-working student to brighter one. Thousands of talented students enroll in The University Of Delhi every year and many pass-out with flying colours and a secure future! Hence, Delhi University is a very good college in India par excellence.